What we have here is a rarity of EPIC proportions! 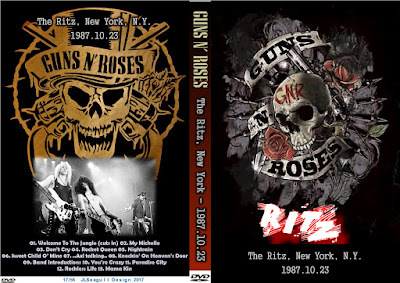 To celebrate the 30th anniversary of this show, here is the classic lineup of Guns N' Roses performing at the Ritz in NYC on 10.23.1987 - nearly 3 months before the well-known MTV-broadcast Ritz gig. This video was unearthed in 2016 by a superfan and sample clips were shared on YouTube. Up until that point, the CBGB 10.30.87 show was the only concert video from any 1987 show that has ever been made public. 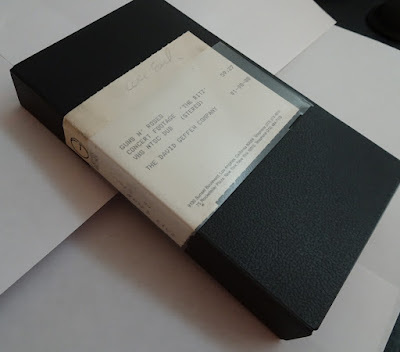 Luckily, I had the good fortune of transferring the original promo VHS to ensure the best possible transfer quality would be achieved. What you are downloading is a fully-authored DVD that includes maxed-out video and audio-bitrates, and full motion menus. Unfortunately, the first four songs plus part of 'Welcome to the Jungle' were not present on the VHS tape. However, that does not detract from the experience of viewing this amazing concert video! Never before seen footage! 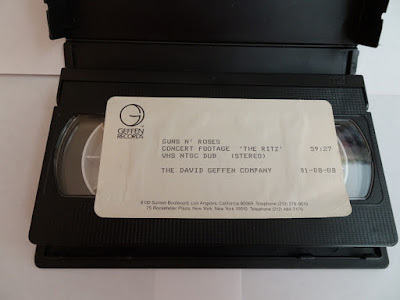 Sure, we're very familiar with the phrase "Guns N' Roses Live at The Ritz" - but this isn't the footage you're thinking of - this is unreleased, never before seen, straight from a Geffen VHS, just three months after the release of their monumental debut album Appetite For Destruction, days before the infamous CBGB's Acoustic show (Which, until now, was thought to be the only known 1987 show to exist in video, sans rumors of a fan filmed August 1987 show in Toronto). The full footage will see the light of day some day, but to quote one himself "You'll see it, I'm just not sure if soon is the word" - though, I will entertain offers for trade for something of equal value within the GNR bootleg community. The tapes contains a clip of Jungle, and fulls songs from My Michelle through Mama Kin. Footage is one hour in running time and was transferred directly from Geffen VHS via Ion Audio's Video 2 PC capture device. All cheesy, 80's High School AV club editing was all the rage in those daze and was done by Geffen, hahah.